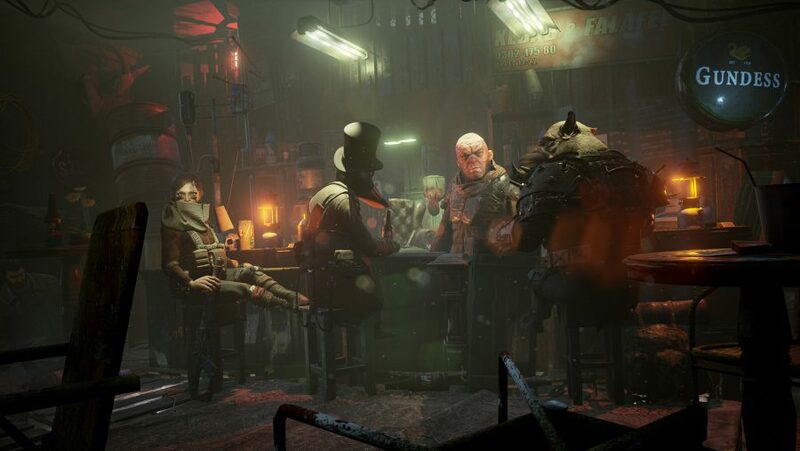 You might know Mutant Year Zero: Road to Eden as the game in which you can play as a talking duck, but there’s more to this turn-based tactical adventure than that. You can play as a talking pig too. Humans are long gone, you see – they’ve all melted away in a nuclear war. Now there are only mutants. Some mutants have lost their mind, scrabbling around in a world reclaimed by nature, making outrageous demands like “Give me your brains”. Other mutants who are less obsessed with brains have established colonies. The Ark is one such colony, and its inhabitants are forever searching for the mythical Eden. Does it even exist? That’s what Dux the duck and Bormin the pig are aiming to find out as they sharpen their tusks, preen their feathers, and head off on a quest at the end of the world. Here, then, are six reasons you’re going to want to get on board with their post-apocalyptic road trip when Mutant Year Zero: Road to Eden launches on December 4 for PC. The collapse of civilisation won’t be all that funny when it inevitably happens, mainly because billions of people will die, and those lucky enough to live will have to subsist on roadkill and newspapers. 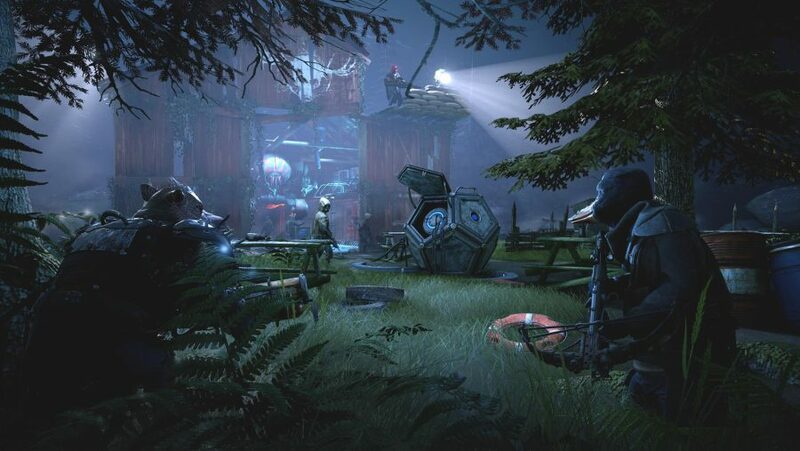 But there’s dark humour to Mutant Year Zero’s bleak world – in particular, how its inhabitants frequently misinterpret the past. 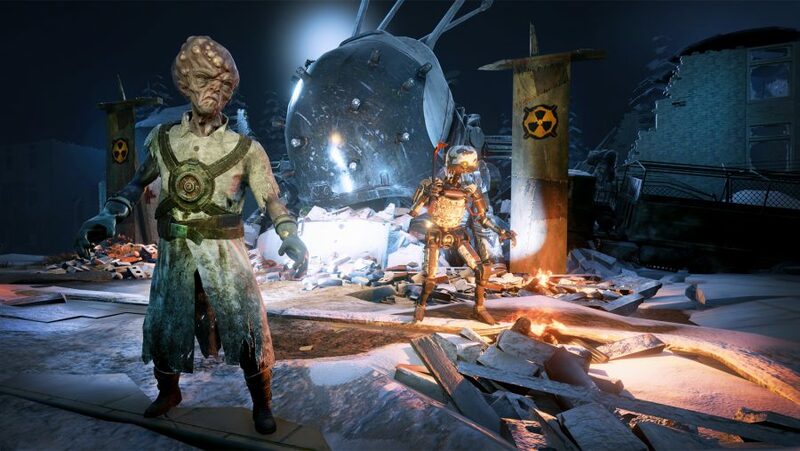 For example, you’ll often come across mysterious artefacts that let you upgrade your characters’ abilities. In actuality, these artefacts are objects like boomboxes, referred to here as ‘a strange talking box’ that ‘includes a handy slot on the front for keeping things in’. Clearly they’ve yet to encounter cassettes. Dux warns against turning it on for fear of quite literally going boom. This bafflement extends to the map, on which a traffic tunnel is marked as the ‘cave of fear’, and oil rigs are ‘sea titans’. Stat-boosting loot takes the form of battered fishing hats with the words ‘kiss me quick’ sewn into the front that, according to one of the game’s respected historians, Chronicler Dentus, was apparently a fertility crown used to attract partners. A small, white, iPod-looking device bearing the etching of an apple on its side was ‘built to determine the ripeness of fruit’. It’s fun to see how clueless everyone is about everyday items. You didn’t hear it from us, but exposure to nuclear radiation has some pretty amazing health benefits. 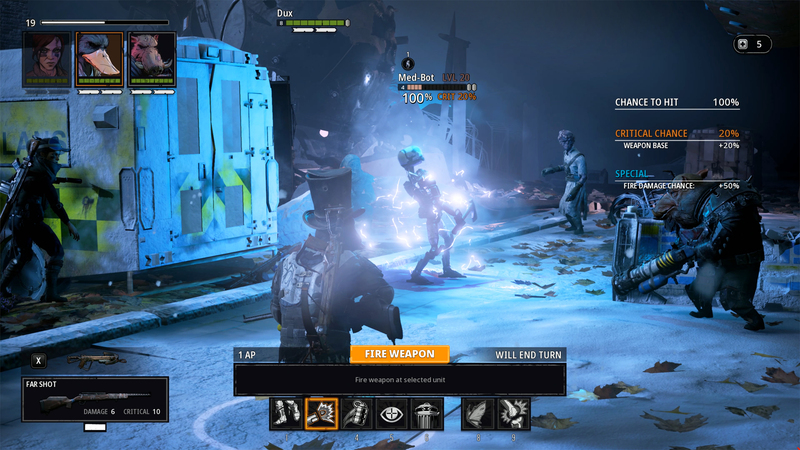 Level up your character in Mutant Year Zero and you can select from an array of nature-shunning unlocks at any point in the menu. There are general mutations that everyone has access to, like standard HP bumps, and character specific ones too. Bormin’s hog rush lets him charge through scenery and send opponents flying, which is useful in positioning hostiles and teeing up teammates. Selma, meanwhile, can weaponise her love of gardening to coax trees into binding enemies to the spot with their roots, as well as supercharging her tendons to help her bound up buildings for better vantage points. Our favourite so far, though, are the gross pair of veiny wings that sprout from Dux’s back, allowing him to rise high above the battlefield and, in turn, enhance his shooting accuracy. Sometimes it’s cool just to hover there, freaking people out – as if a talking duck in a top hat wasn’t freaky enough already. This is not a game in which you can waddle straight into fights and expect to win, even if you are a duck. You’ve really got to think about what you intend to achieve. Most of the time you’re outnumbered and outgunned, with opponents doubling your team size, so you’ll need smarts. For instance, if there’s a unit that alerts other units, you’ll want to take them out first. Or, if there’s a medic bot, neutralise it with an EMP bomb bought from Iridia’s shop at the Ark before it revives its mates. Strategy gets deeper still when you factor in weapon upgrades and armour abilities, which you can spec towards each encounter. An example of this is giving one of your characters a long-range rifle, as well as armour that increases their critical hit rate, and then hanging back to take shots from distance. This is even more effective if you coat your enemies in fire from a molotov and leave it to slowly eat away at their health while you hide behind a tree. 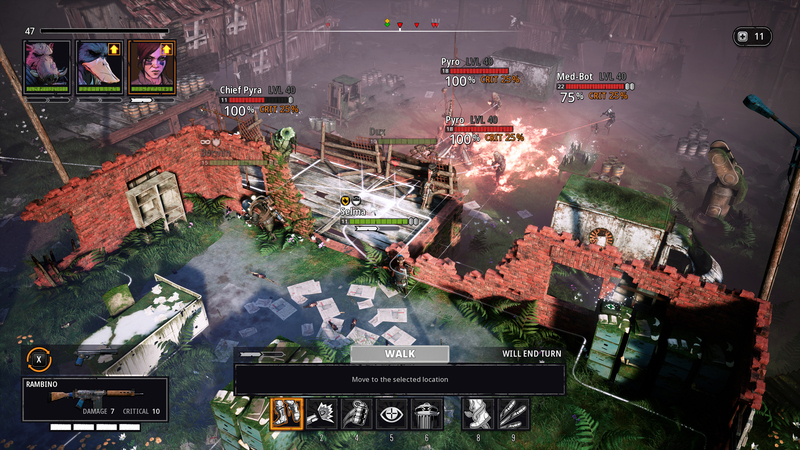 Some fights in Mutant Year Zero seem insurmountable, but with the right tactics, you’ll be victorious. The game world is a series of interconnected open areas. Because of this, you can approach fights from any angle as long as you avoid each enemy’s area of awareness, which shrink and grow depending on how sneaky you’re being. Whip out your torch and detection radiuses gather size and colour like an angry zit, but go quietly and you can set up sneaky ambushes. You might position your long-range unit up a playground slide, then hunker your shotgunner down behind a burned-out car. You might aim to damage several targets before they know what’s happening, or pool together powers to take down a single powerful foe. If you equip a silenced weapon you can actually take out stragglers to thin out the herd, making your job easy when the scrap starts proper. 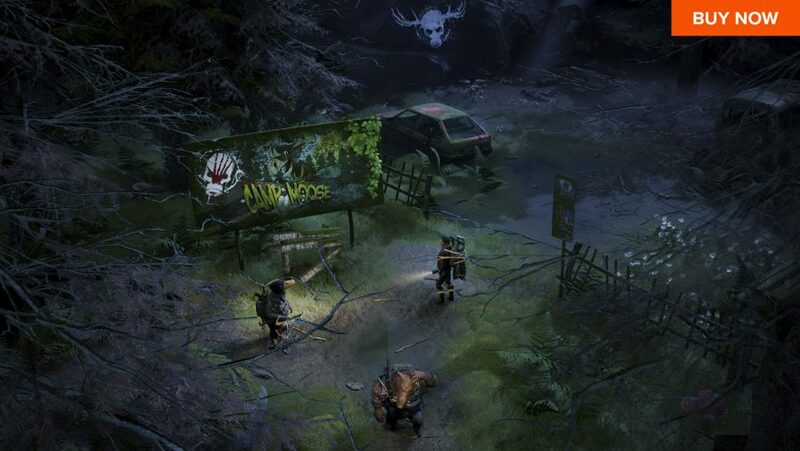 Once it does, there’s no backing out, but with Mutant Year Zero’s real-time stealth you can begin the battle on your terms. In quieter moments they occupy themselves by thinking out loud. Dux, for example, questions why we call telescopes ‘far-lookers’ when “it should be a smallifier, because when I looked into it, everything became smaller and more distant.” Someone should tell him he’s looking into the wrong end. Some of the best writing happens in the margins. Linger a little before you trigger an encounter and you’ll catch snippets of conversations between irradiated ghouls. One of them mentions catching you and squeezing the secrets from your head. Even the diary fragments are well worth picking up, if only to read stories like the one on a smashed tablet about a guy who confesses to secretly replacing his girlfriend’s pet turtle after accidentally killing the original by dropping a beard trimmer in the tank. Cover acts how you’d expect in this game. Seek refuge behind a fence and the enemy might well turn it into splinters. Where bullets pierce and penetrate, grenades blast down entire walls to leave anyone sheltering behind them completely exposed. They’ll also dismantle other items in the level, like fridges, fuel barrels, and discarded sofas. Even brick barriers aren’t safe, crumbling realistically when met with enough force. All of this means you really have to think about where you go – regard every piece of cover with a dubious eye. You can use other effects too. Throw a molotov and you’ll coat the ground in flames that last several turns, rendering anyone in the vicinity on fire. Shooting a combustion round into a building and trapping those inside, or using Bormin’s charge to plough straight through a wooden shack as the panels topple, gives you an extra degree of combat versatility. 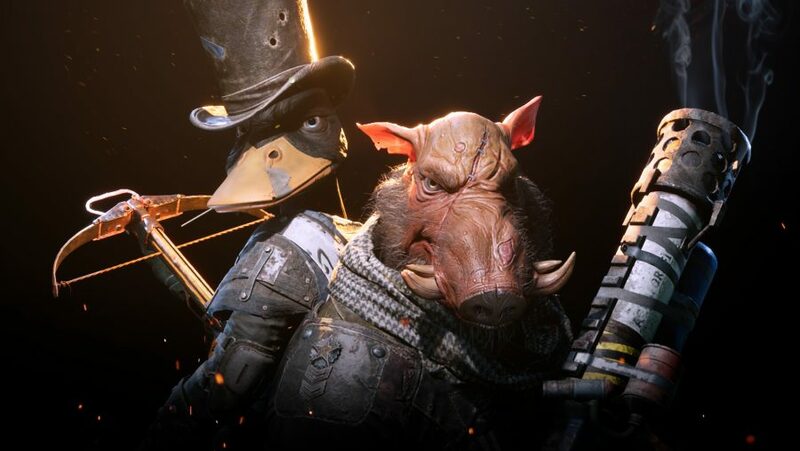 Mutant Year Zero: Road to Eden is available on Dec 4, if you fancy slipping into the top hat and tails of a talking duck.